Formula 1 has produced a new documentary detailing the record-breaking career of Michael Schumacher, which will be exclusively available to F1 TV subscribers. The film will combine rare footage from Schumacher's youth with famous clips of his glittering F1 career. Schumacher still holds the records for most grand prix victories (91) and world titles (7), having guided Ferrari to a record-setting five consecutive double title wins from 2000-2004 as the Scuderia dominated F1 at the turn of the century. The German great also won two championships with Benetton, having made his debut in 1991 for Jordan at the Belgian Grand Prix before making the switch to the Enstone squad immediately afterwards. 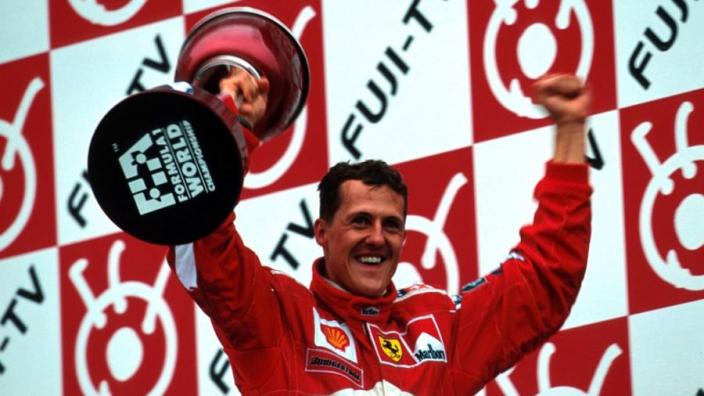 How did Michael Schumacher go from karting hopeful to seven-time F1 world champion? Interviews with several notable figures from Schumacher's career, including Ross Brawn, Sabine Kehm, Fernando Alonso and more are included in the film. F1 TV is available to fans across the world, although Pro subscriptions can only be purchased by those in areas where it is available. F1 TV Access subscribers will be able to view the Schumacher documentary, as well as a vast archive of past F1 races, of course many of them won by Schumacher himself.